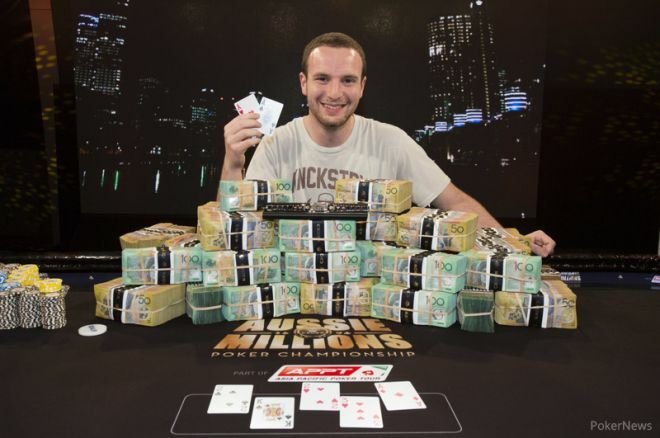 The prize pool was AUD$283, 500 as there were 126 players who took part in the event. The event saw a lot of popular and known players taking part and the prize money were distributed among the top 15 players. Phil Laak took part in the event and finished in the 9th place and took home AUD$8, 505. Even though there were many local players who took part in the event, the final contest was between players from foreign soil, a Ukrainian and a Finnish man. The APT, WPT and Aussie Millions $100,000 Challenge winner Yevgeniy could not make the most of his experience of playing in the big tournaments count at this event’s final table and lost to inform Sipila. Sipila started the final table game against Yevgeniy with a big lead he got during the heads-up play and did not lose it at any stage. Timoshenko tried his best, but had to be satisfied with the second place and took home prize money of $49,620. There is no doubt that there will be many more victories coming the way of Yevgeniy Timoshenko in the coming events.